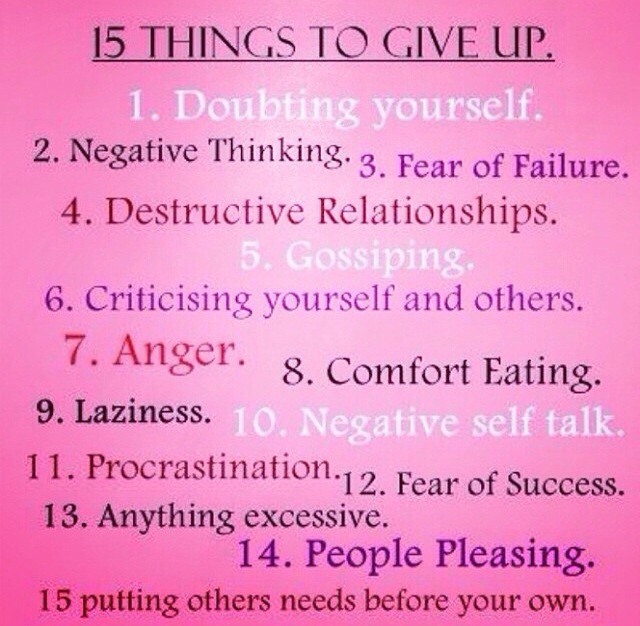 Talk Tuesday: 15 things to give up! It may be hard to admit but sometimes you just have to learn to let go. No more limits, no more boundaries, no more heaviness weighing you down.